Bluecoat Sports have a whole range of gym classes for juniors too! Your little ones can enjoy Mini-Gym with fun games, music, dance, and apparatus as well as Gym Babes where they get to grips with the beam, bars, vault and floor work. But that’s not all, we have trampoline and bouncing sessions to develop their skills and wear them out too! Come and join in on our parent and baby drop-in sessions to help your child gain confidence in the water. 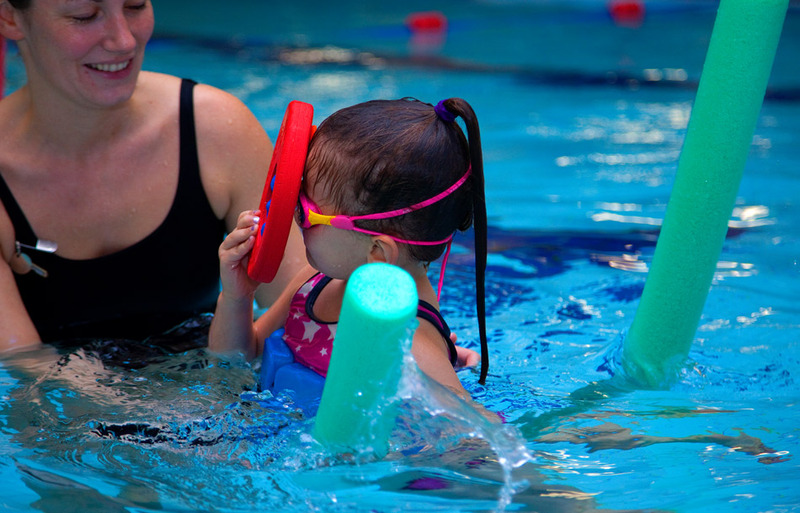 Supervised by our friendly instructors, the sessions are plenty of fun with toys and games to help you and your child enjoy the water. Parent and baby swim is for members and guests and you can book in here. Mighty Mini’s is a fun based session for you to bring your children along to from walking to 4 years old. The session is structured to help your children learn the fundamentals of balance and co-ordination, by including fun activities such as a bouncy castle or trampoline, ride on toys, soft play items and action songs. View Timetable and Book Now. This session is a fun and relaxed gymnastics session for the complete beginner to help build their confidence and their motor skills. Your children join in with fun games, music, dance and basic apparatus to keep them busy and learning! The session lasts for 45 minutes and is run by our friendly qualified preschool gymnastics coaches. View Timetable and Book Now. Our Gym Babes Course is for children of all abilities and is a fun and friendly introduction to gymnastics. Through structured learning and play they learn the basics of gymnastics in a safe and friendly environment, using a selection of gymnastic apparatus including the beam, bars, vault and floor. To encourage our Gym Babes love of gymnastics they work towards British Amateur Gymnastics Association (BAGA) badges and certificates. They can continue building their strength and flexibility from five years upwards in our gymnastics courses which also give the opportunity for BAGA awards. Book Now. 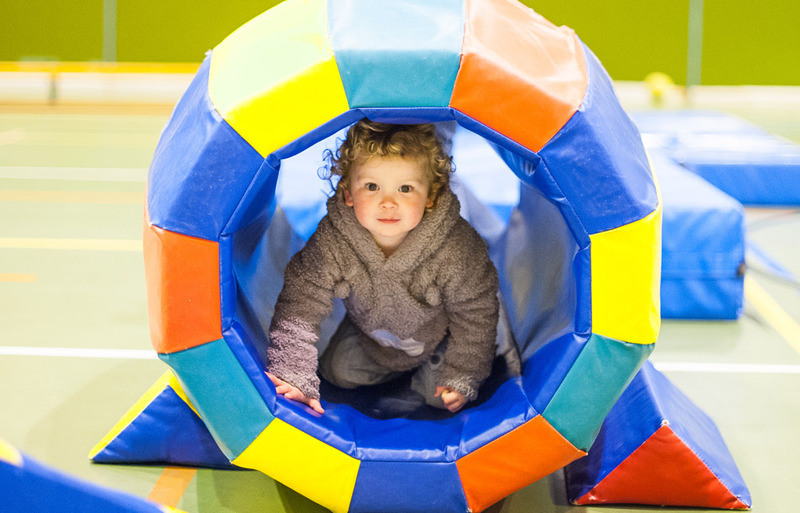 If bouncing is more your little one’s thing, then we have a fantastic and energetic Bouncy Tots trampoline class and we keep them entertained between bounces with soft play too! This session introduces children to the basics of safety and bouncing on trampolines. 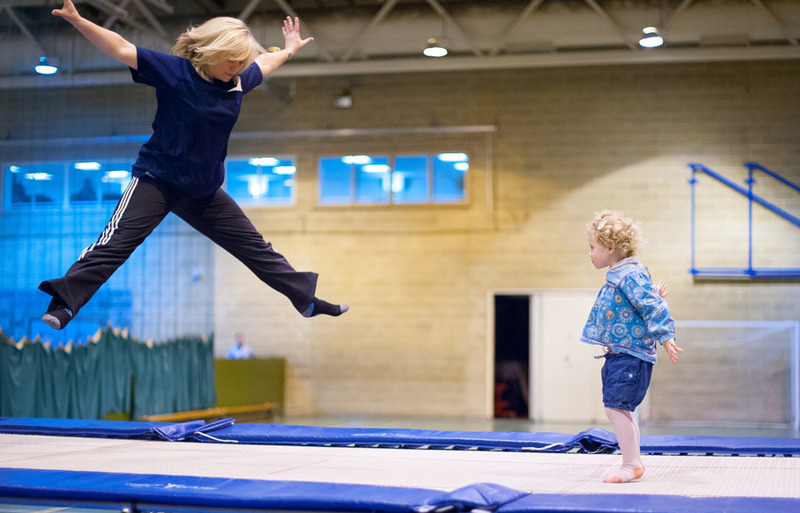 For the older children, our trampoline courses follow the British Gymnastic badges, our team of friendly coaches are all British Gymnastic qualified and as you’d expect, they are all DBS checked too. View Timetable and Book Now. If you would like to attend a class or use the gym or pool whilst you’re with us, you can book your little one into our creche. You will be able to enjoy your workout (or perhaps a coffee in the cafe with friends!) knowing your child is being well cared for and having fun under the careful supervision of our brilliant creche team. 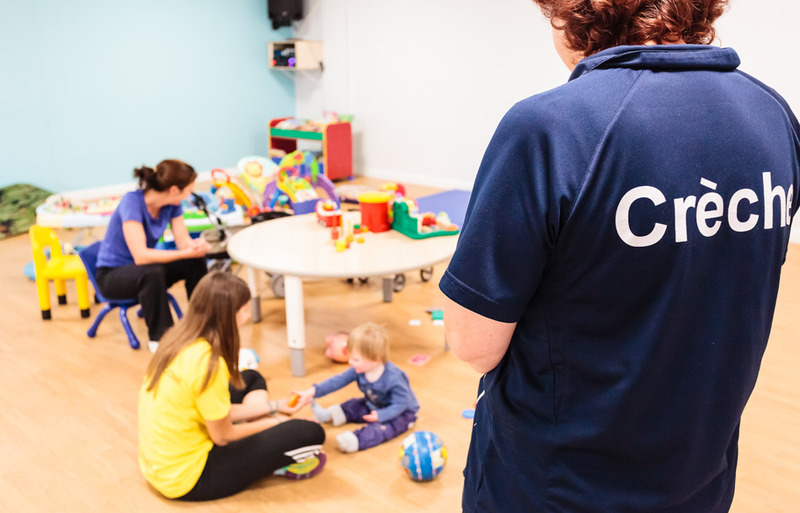 You can find out more about the crèche here, and don’t forget to book your session before you come as it is popular with members!